This is what Shahrukh Khan says in the latest promo of one of the leading housing finance companies. Buying a house might very well be on your priority list, but just chasing the wishlist blindly might prove to be equally dangerous. Owning a house is generally seen as a dual investment product, which gives you returns in form of capital appreciation and also saving on your money you would have otherwise paid as rent. However, the high prices of the properties in the metropolitan cities seem to compete with equally high sky-rocketing buildings. So, learning to live with the shattered dreams, people find it much easier to live within the affordable means. Renting a house then seems the perfect choice. Real Estate is not the Only Place you can invest your money in – Till last year, property prices in Delhi NCR were on an uptrend and returned close to 15-20% per year in absolute terms. However, accounting for the interest costs, maintenance expenses and inflation, the real returns calculated to be a tiny figure of 3-5%. This might not be the kind of returns one would expect from a big ticket investment like real estate. Another fact to consider is while real estate does offer returns, but so do other investment avenues too. If you have made money on your investment in real estate, do compare it with the returns you would have garnered in other investment opportunities with a similar amount and tenor too. You Pay a Lot of Interest on your Housing Loan – Thinking about this topic, I thought to make a small calculation on how much interest one generally pays when he borrows towards purchase of house. Housing loans are generally for a tenure of 20 years and I assumed the current housing loan rates of 9.50% to do the calculations. One lakh rupees borrowed today will result in an EMI of Rs. 932 and you will pay Rs. 2,23,711 over the next 20 years. Needless to point out, you have in fact paid Rs. 1,23,711 as interest which is even more than the principal. So, 124% of your returns is already blocked towards the interest cost incurred. Did you ever think of this! High Prices and Low Rentals – Even though the property prices have gone high, the rentals have remained in the range of 1.5-3% of the cost of house. 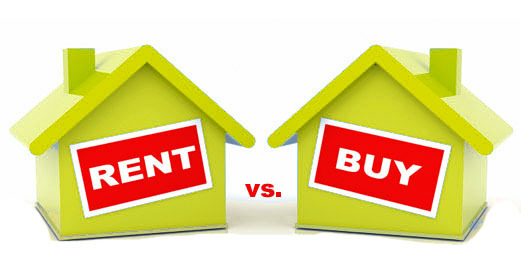 The general thumb rule says that if you cannot buy a house for less than 20 times your annual rent, one should go for renting a house than buying it. These figures calculate to 5% rental yield as the decision making criteria. 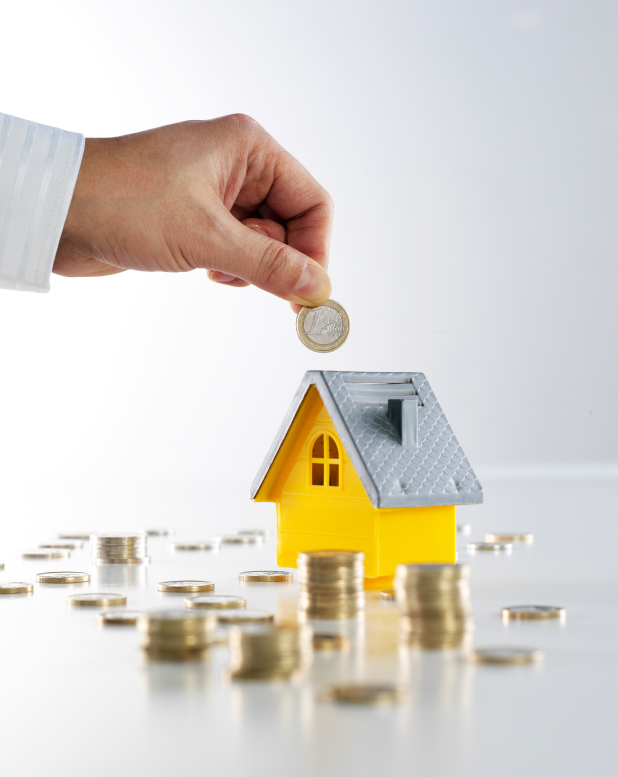 Investing in House is indeed a Big Ticket Investment – Buying a house involves investing or committing to invest a big amount and still seemingly high returns have lured the investors. The buyer resorts to borrow 75-80% money after paying just 20% down payment. And even when 20% down payment is a significant amount, the pockets get further squeezed with high EMIs. So, while an individual was staying in the same house costing Rs. 60 lakhs with monthly rent of Rs. 15,000, now his pockets get squeezed by Rs. 40,920 more and he ends up paying Rs. 55,920 per month towards EMI repayment. Buying a House for Self-Occupation or as Investment – When one is buying house for self-occupation, periodical volatility in the property prices does not affect the buyer. However, when investing in property for parking of funds for better returns, it is just a matter of couple of years of price stagnation that the investor interest will fizzle out and the property prizes will soften more. These were just few considerations one must make before getting on a particular decision. Further, instead of going overboard by investing through borrowed funds, one should instead save systematically to achieve the goal of owning a house. Apna ghar toh aakhir apna hi hota hai! This is a much needed post man! Good to see you wrote it. This is going to be a very useful post for many of us Simarjeet. Very simple and sensible pointers and considerations to remember. Thanks for your valuable tips. Very valuable points said there. I shall keep it in mind while I invest on a house . And then that fabric one examples, high interest on housing loan all are hit .